This portable cart gets attention fast – and allows you to serve up premium cocktails even faster. Triple flavor dispensers with exposed bottles entice customers as they see the bubbles in action. 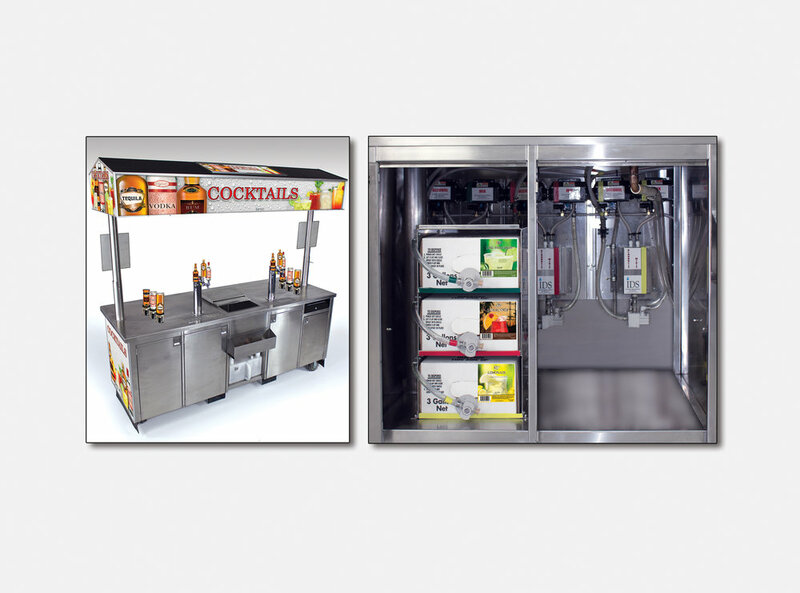 Two draft towers means two points of sale in one efficient unit.